Helen Carson, designer florist, gives brides-to-be, hobbyists and florists, the skills and know-how to plan, order and arrange seasonal, wild and unique bouquets, buttonholes and wedding venue flowers for the big day. Sign up for a monthly step by step guide to making seasonal wedding flowers. You can unsubscribe at any time. Thank you for signing up, Helen will send you a monthly step by step guide to making a seasonal wedding bouquet and she’ll be giving tips and hints about table decorations and other flower arrangements to make your wedding day special. At Balsham House Flowers, you’re taught to realise your dream wedding flowers. We start by getting you to think about your perfect day and how you imagine it might be. From there we go into our cutting garden and start to embrace the beauty and romance your bouquet can reflect. This is a go-to workshop for DIY brides who would like to design their own natural, seasonal eco friendly wedding flowers. Growing your own wedding flowers and making your own eco friendly, natural bridal bouquet is something you will remember forever. Begin your Hen Weekend by making your own flower crowns at Balsham House near Cambridge. Helen will show you how to tape and wire your head dresses using home grown and British flowers. Flower crowns are a symbol of love, fertility and celebration and they are fun to make. 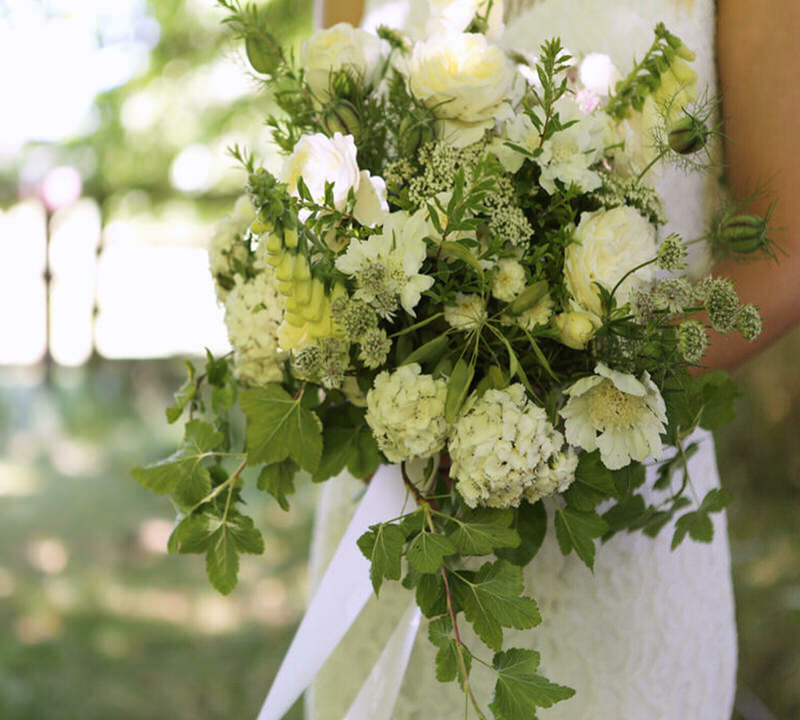 If you would like to make your own natural, eco friendly style wedding bouquets and buttonholes, then this workshop is a great way to learn how to make a hand tied bouquet and have fun in the process! You’re welcomed into Helen’s home, where flowers are not only objects of beauty but her entire gardens become a therapeutic mindfulness event. This beautiful setting provides a stress free day away from busy lives to focus on nature’s beauty, and to dream of your idyllic wedding day flowers.